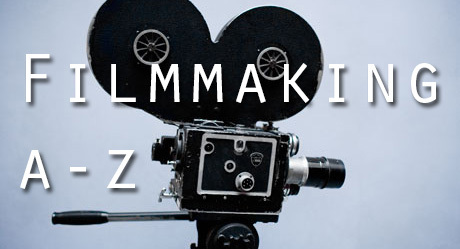 So you’ve checked out part 1 of my A-Z of filmmaking – here’s part two! Hopefully this blog and the links I’ve provided will help you in your filmmaking futures! Night Conversion! Better known as day to night conversion, using this effect can save you dragging everyone out in the dead of night to get those dark night time shots. The idea seems simple, shoot your fotage during the day then use an effects programme, such as After Effects, to transform it into night. Of course it’s not as simple as it sounds. We’ve used the day to night technique in our latest short film ‘The Field’ and it’s currently looking pretty cool. Always remember that you need to have it all planned before shooting. For best results you need to capture a washed-out look. An overcast day is perfect. Better still, film it all in shaded areas. Keep away from direct sunlight if possible! Oscars! Everyone loves the Oscars don’t they? Don’t they? The most important award ceremony in any filmmaker or actors career, the Academy Awards are that grand event that seem so alien to anyone not involved. I personally love the Oscars. I love that it is a celebration of film. Fair enough it is also a celebration of who is wearing the best dress but you can’t have everything! Practice! This is a must for your actors and your camera operators. Rehearsals can be put on the back burner. It means another day out of your already busy schedule. But trust me, it is very important. There is nothing worse than getting on set and having to practise everything that could take up a large portion of your time. The best results for rehearsing with actors is to try and get them in the mind frame of the character. Get them to understand who they are, what they’ve done and then get them to become that character in various situations that are nothing to do with the films story. 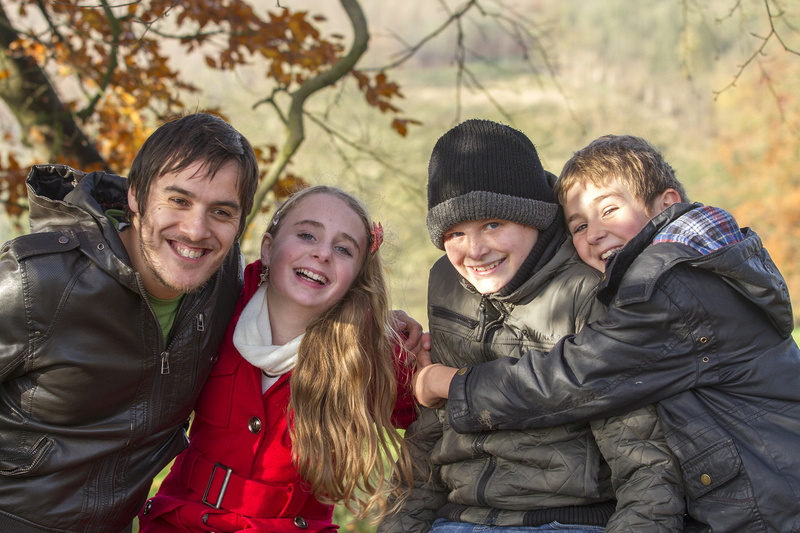 Get them to improvise a scene set somewhere different, say doing their weekly shop or delivering a large parcel. Then, once they have their character, begin to rehearse the scenes from the film. As for the camera operators, if you can rehearse on the actual set, get the camera operators to check for shots, distances and movements. Anything that can save you time on the day of the shoot. Quiet on Set! If you’re a director you need to be in control of everything going on around you, from the actors to the camera operators to the guy at the back of the room picking his nose and texting his wife. But don’t become one of those ‘nightmare’ directors you always hear about. There is a fine line between giving instructions and being bossy. On the same hand you don’t want to be a pushover and let others make the decisions for you. Raindance! If there is one company that has helped me throughout my filmmaking career it is Raindance. Raindance is essentially a film festival. 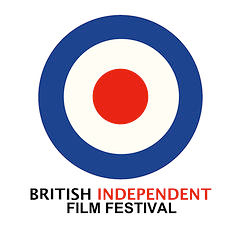 So get your films submitted to them! They also provide film courses so if you’ve got the spare cash get yourself booked into one and see what you can learn. Script/Screenplay! There is nothing more important for any film, no matter what the length, than the script/screenplay. It’s the foundations for your film. Without it, it cannot be made. So how do you write a great screenplay? This isn’t an easy question to answer. The truth is that some buggers are born with a great ability to write. You’ll hear many times that to be able to write a good script you need to read lots and lots of scripts. Yes, this is great advice for people who aren’t born with this unnatural ability. And if you are one of these people then get on google and find scripts to read – there are plenty out there. If you are one of the lucky ones then get writing! Remember that when you’re writing you need to create engaging characters. Even if the situation they’re in is ridiculous, like mutant chickens attacking the streets of Bridlington, the characters involved need to be real and feel real. Television! Most of us have one. It’s that rectangular object that is the focus point of every living room. We arrange our chairs to face it. We position our lamp so it doesn’t shine on it. We complain if there is nothing on it to watch yet still flick through the channels ‘just in case’. Recently there has been a surge of great television – Breaking Bad, Game of Thrones, 24, Lost and Touch to name but a few. Television studios are finally getting the budgets to allow them to improve their content. Which is great news for viewers. It is also a great time for television actors who are being allowed to try something new. It also means it’s a great time for writers and filmmakers as their are more opportunities… if of course you’re one of the lucky ones to get that opportunity! Check out the scripts to the pilot episodes of Breaking Bad and Mad Men here! Us! One of the most important things in filmmaking is the ability to work together as a team. Remember there’s no I in team! If you can’t work together with other people then maybe you should get a job that doesn’t involve… well… people. I’m not going to bang on about it. In most jobs you have to work in a team to succeed. Filmmaking is no different. Volume! Get your sound mixing right or go home! There is no excuse for badly mixed sound. 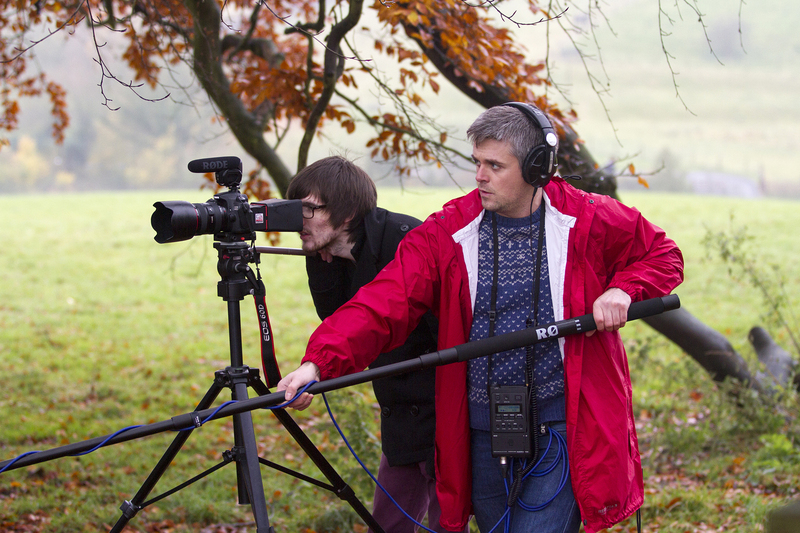 And whilst we’re on the subject of sound, capture the best sound you possibly can on location. Get yourself some good recording equipment – or find someone who already has it and get them on board. Plus you need someone good at using it too! And any sound that doesn’t sound great, has wind interference, background traffic etc, needs to be corrected in ADR. Overdubbing your actors voices may seem like a chore, and you’d be right, but it could save your sound! There is nothing worse than watching a film with bad sound. Too many times have I watched a short film that has recorded sound via the onboard mic. It makes you seem amateur and no one will want your film! Webseries! The invention of the internet and the creation of sites such as Vimeo or YouTube has it’s downsides (see Y below). It is also however a great place for ideas and what better idea than a webseries? A place for you to make a series that, unlike television, every episode can be any length you want and whatever content you like. Plus we don’t have to get our series actually onto the television in order for people to see it. I’m not going to put a link to any as everyone has different tastes. All I can say is get searching for some and you’ll find some little gems. You’ll also find some rotters, just like the rot you go through before you find your one true love. But then that’s life! Xylophone. Only joking – Xtras! I know, I know, extras begins with an ‘e’, but what are you going to do about it? Now at some point in your film you are likely to need extras. We all know what they are – people in the background of your film to convince us that your location is real. Be it nightclub, train station or street. All those friends of yours, and your mum and dad, brothers, sisters, cousins and grannies, at last they come in handy for something! Get them in your film as your extras. Make sure they know however, that a film shoot is a long process and there is a lot of waiting around. Also make sure they are the right people for the scene. There’s no point have your elderly grandmother sliding down the pole in the nightclub! Another thing to make sure is that they are not wooden on screen. Many people freeze in front of a camera or appear uncomfortable. It is a directors job, or if you’ve a bigger crew, your assistant director’s job to get them acting as naturally as possible. YouTube! The website that has changed the way we watch video content forever! Love it or hate it, YouTube is hear to stay. Now, the problem with YouTube is that for every brilliant short film you can find on there, you have to sift through a bunch of people falling over, a number of dancing girls in bikinis and a shed load of cats. So how do you stand above the crowd? How do you get your video to those heights of a million views and 50,000 likes? Truth is I have no idea. But the truth also is that if you only want to make content to get hits on YouTube then you need to be taking videos of people falling over, girls in bikinis and cats. YouTube has created a generation of people who have short concentration spans. It is proved that on average people will only watch a video for a couple of minutes. Then, if the video hasn’t finished, people get bored and move to the next video. It has come to a point where people think they don’t really have the time to watch your half-hour film on YouTube, but will then sit and watch an hours worth of dancing cats. Zombies! Ok, here’s a major gripe of mine – bad indie zombie films! Yes it’s cheap to make a barrel of fake blood and get your friends dressed up as the undead. The problem with that is, more often that not, they look cheap and that you’ve just got your friends dressed up as the undead – which is fine if you’re just having a bit of fun! There are plenty of other monsters out there to chose from – or why not even create a brand new monster! If you’re a writer, a storyteller, then you should be able to come up with some sort of new monster idea. And if you have to do zombies then please try something different! The same with music, make it stand out from the crowd. How can you make your zombie film different to the million other zombie films out there? The End… unless there are any letters I have missed out? !